finishing 2nd in '37 (the only rider within shouting distance of Roger Lapebie) and 6th in '38. 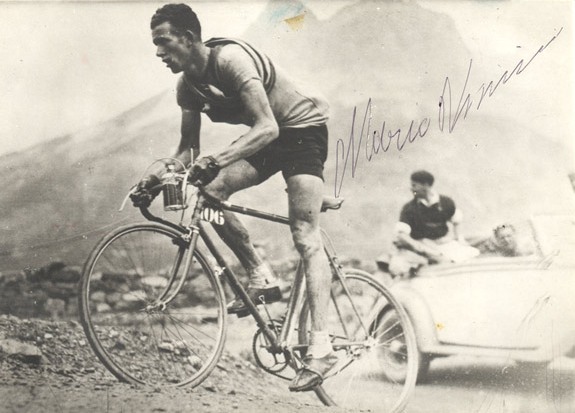 He won the Italian road championship in '39 and finished 3rd in that year's Giro. 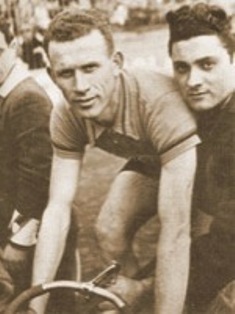 In 1940 Vicini, Cinelli and Olmo were teammates on the Bianchi squad. Vicini started selling racing bicycles 10 years before his retirement from the peloton in 1952, then going full-time in the bike business. The family has continued in the business since Mario's death in 1995.